No prior experience in Drama is required to join us but enthusiasm and commitment to the group will guarantee you a welcome. As well as acting, there are many skills required to bring about a production worthy of an audience including backstage management, set design, costumes, make-up. We pride ourselves in attending to every area with the utmost care and attention. If you think you can help out in any of these area or more, get in touch! 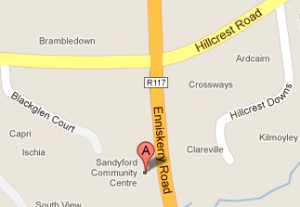 During rehearsal periods, Sandyford Little Theatre Company meets at Sandyford Community Centre (see map), Sandyford, Co Dublin every Tuesday and Thursday evening from 7.30pm to 10.00pm. If you are interested in joining, or would like to find out more, please fill in the form below.